Captain David Raymond Wagener was born on June 22, 1939 to Mr. and Mrs. Lawrence L. Wagener of Saline, Michigan. David is a 1957 graduate of Saline High School where he was an honor student, an outstanding athlete lettering in football, basketball and track. He also attended the University of Michigan prior to enlisting in the Air Force in 1959. He also attended the University of Delaware. David received his Basic Training at Lackland Air Force Base in San Antonio, Texas and was commissioned a Second Lieutenant. He attended Aviation Cadet Training at Harlingen Air Force Base in Texas. 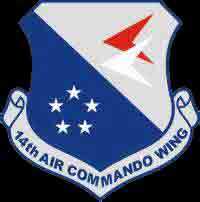 He received his pilot flying wings at Williams Air Base, Chandler, Arizona. Captain Wagener began his tour of duty in Udorn, Thailand serving with the 602nd Fighter Squadron, 14th Air Commando Wing, 7th Air Force. According to a posting from a colleague, Ira Cooperman, "Dave Wagener was a friend and a brave 'Sandy' pilot. While stationed at Udorn RTAFB in 1966, he flew 'cover' for helicopter missions attempting to rescue downed American pilots in Laos, as well as to support friendly forces on the ground in Laos. It was from one of those missions that he did not return." On October 20, 1966, Captain Wagener was shot down and killed about 20 miles north of the DMZ in Quang Binh Province. His body was not recovered. David Raymond Wagener finally came home on December 5, 1997 when his remains were discovered. David is survived by his wife, mother and two brothers. He lived 27 years, 3 months and 28 days. He is resting in Tahoma National Cemetery in Kent, Washington, Section 6, Site 595. 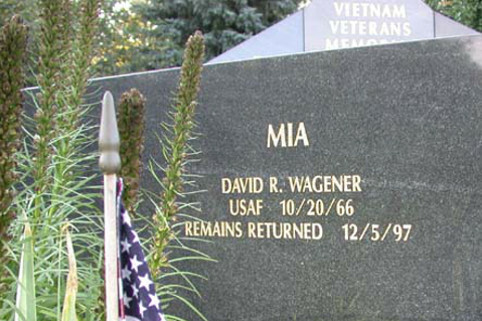 David's name is listed on the Vietnam Memorial in Ypsilanti Township in two locations. The first location is on the bench (pictured above) in front of the Memorial listed with two other men listed as MIA. The second location is on the Vietnam Memorial under Ann Arbor. His name also appears on the Vietnam Memorial in Washington, DC on Panel 11E Line 092. The rescue mission Capt. Wagener (below) was shot down on is described in chapter 16 in a book titled When Thunder Rolled. The book's author, Ed Rasimus a USAF Pilot, flew both the F-105 Thunderchief and the F-4 Phantom during his two tours. Visit any American cemetery and you're sure to find coins, especially Lincoln pennies, adorning grave markers. These coins have various significances, from mythical to religious (In God We Trust) to personal. Regardless of the reasons behind leaving a coin, they are a way to remember the dead and commemorate their memory. During the Vietnam War, it became popular to leave coins on the graves of fallen soldiers. The denomination of the coin held significance in this case. A penny was left by a casual friend or acquaintance. Someone who trained in boot camp with the deceased would leave a nickel. A soldier from the same company would leave a dime and a family member a quarter. The coins were a way to for soldiers to leave a message to the family of the fallen when they didn't have direct contact. The money was also sometimes considered a down payment on a beer or a hand of poker when the mourner met the deceased again. 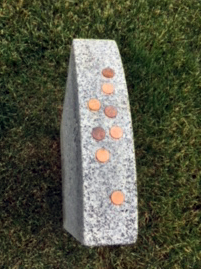 Pennies are left on graves, most of all, in remembrance of the deceased. Leaving a coin from your pocket is a way to leave a part of yourself at the burial site. The coin is a visual reminder that, even in death, the memory of the deceased lives on. It is also a sign of respect to the dead, as it shows that their memory has value to you and is something you want to commemorate. Captain Wagener began his tour of duty in Udorn, Thailand serving with the 602nd Fighter Squadron, 14th Air Commando Wing, 7th Air Force. Dave Wagener was a A-1 'Sandy' pilot. 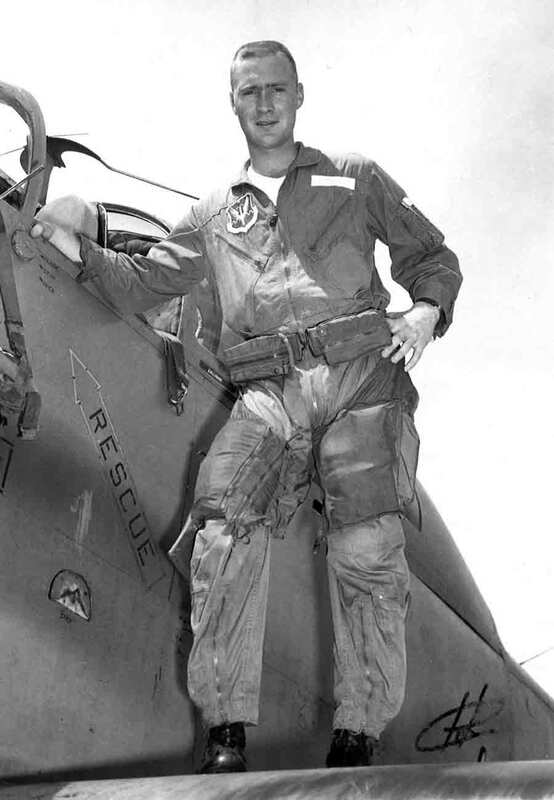 While stationed at Udorn RTAFB in 1966, he flew 'cover' for helicopter missions attempting to rescue downed American pilots in Laos, as well as to support friendly forces on the ground in Laos. It was from one of those missions that he did not return.' 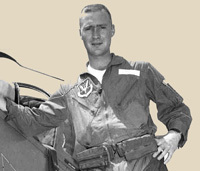 On October 20, 1966, Captain Wagener was shot down and killed about 20 miles north of the DMZ in Quang Binh Province. His body was not initially recovered. David Raymond Wagener finally came home on December 5, 1997 when his remains were discovered. He is resting in Tahoma National Cemetery in Kent, Washington. The recovery of the six downed Airmen, Heros themselves, was spectacular and wonderful, however it was costly. 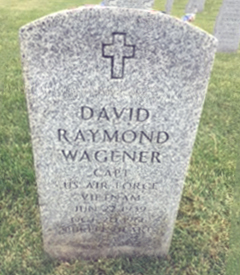 America lost a hero that day Captain David Wagener, pilot of A-1E, Sandy 08 was shot down and killed. The story doesn't end here. If we were to multiply the six men recoverd by 3 or 4. Hero indeed. Thank you David.